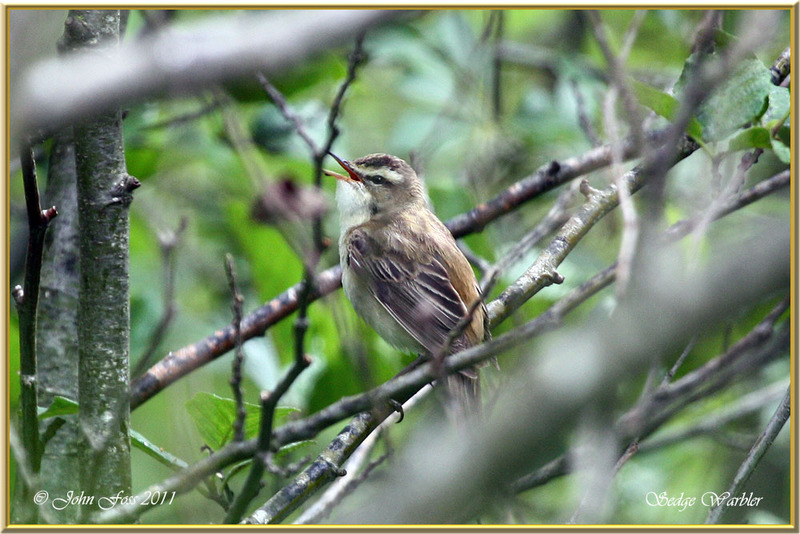 Sedge Warbler - Summer visitor. Winters in Africa south of the Sahara Desert .This bird is usually found around water near reedbeds and marshes. Very elusive and rarely comes out from under cover. Recognised by the white eye stripe. It's call is a loud chittering sound as it flits from bushes and trees. It is normally the call that identifies the bird. 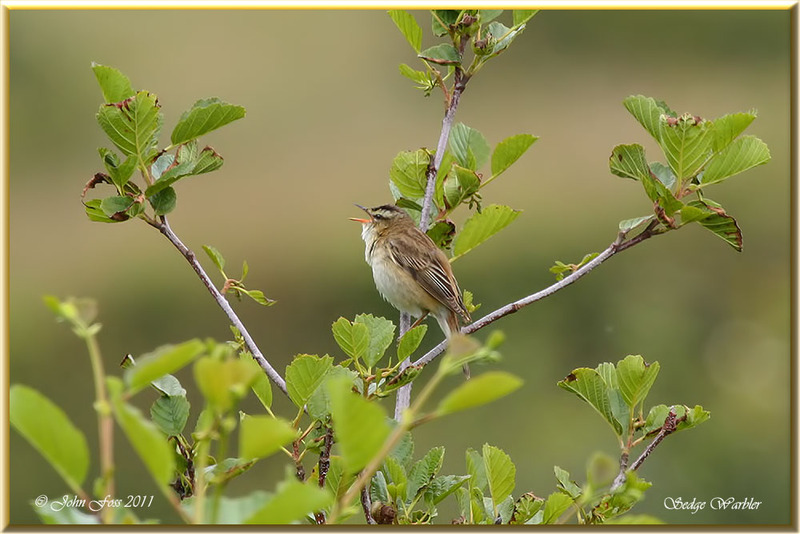 This Sedge Warbler led me a merry dance to get these half decent photographs at Belcoo Co. Fermanagh and Lough Annagh in Co. Leitrim.